Lately, I’ve been arguing that older teams should rest their “more experienced” players as much as possible during the condensed season, especially in the fourth quarter of games that are out of hand. Regular readers might be shaking their heads at me after the Celtics’ games against the Cavaliers this week. 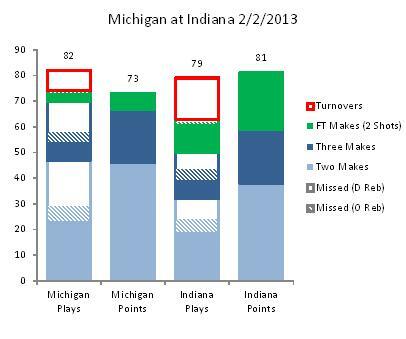 In the first one, they gave up an 11 point lead in the last 4:24 of the game (they scored zero points). In the second, they nearly blew an 18 point lead in the fourth quarter. However, I think these games are just more evidence that the Celtics should rest the Old Three in the fourth quarter with large leads (or deficits). Not only will it help in future games, but it might actually help in the current game. The Celtics have a strong bench, and the Old Three are, well, old and tired. They are prone to blowing fourth quarter leads with long scoring droughts. Whether early or late, Doc Rivers needs to find time to rest his horses, or they will be burned out by March. Edit: I actually wrote this yesterday before the Celtics thumped the Craptors. In that game, they led by 28 points entering the fourth quarter, the starters all rested, and they ended up winning by 34. Progress, I say!